Structural epoxy system for reinforced, high strength rehabilitation and lining of lift stations, pumping stations, and other similar structures. High build epoxy system with high compressive and flexural strengths for rehabilitation and lining of concrete stations. Made to hold back high hydrostatic pressure. Also terrific for lining newly installed stations. Cementitious underlayment and hybrid epoxy top coat composite system for restoring and coating pump stations and lift stations with a combination of high strength concrete and modified high performance epoxy. Structural grade mortar with advanced hybrid epoxy top coat. Also terrific for lining newly installed pumping stations. The Structural Epoxy System for lift stations provides the one of strongest epoxy-based rehabilitation and lining systems available in the market. Often specified for rehab projects, the system is also terrific for lining newly installed structures when negative side high head pressure or high H2S is anticipated. The system’s primary technology is a high build, fiber reinforced polymer (FRP) epoxy. This Epoxytec system is the highest build liner in its portfolio and carries the best warranty offering for Owners and end-users, when applied by Certified Applicators. The Structural Epoxy System offers high flexural strength properties, impressive modulus and 16,000psi compressive strength for structural reclaiming needs and lining as an all-in-one-shot single system. 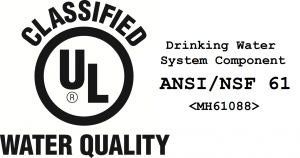 The system is often specified for pump stations and similar structures experiencing ultra-high levels of I&I pressure with ultra-high levels of H2S (up to 800 ppm). The Structural Epoxy System is also designed for projects requiring approval for drinking water environments; clear wells where contact with potable water is needed. Because of its chemical resistance and strength, the system provides a best-in-class option for all facets of lift station, pumping and pump station lining. Available in both a hand-applied and spray-applied versions. 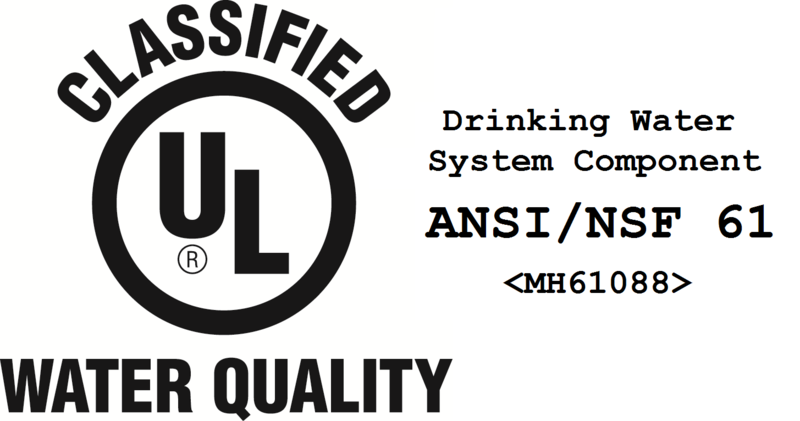 System is also certified to conform to ANSI/NSF-61 standard for potable, drinking water lining. Contents include product information and technical data sheets, execution guidelines, quality controls, case studies, and more. Estimated material price by square foot (at minimum recommended thickness) $5.25 – $7.40± / sq.ft. The UME Composite System is a design system recommendation for rehabilitating and lining aged lift station structures, or similar (ie- pump and pumping stations, wet wells, etc). The system also provides a proper specification for the execution of lining newly installed structures. The intent of this system is to provide for the waterproofing, sealing, structural enhancement and corrosion protection of existing or newly installed lift stations and similar underground structures by the safe, quick and economical application of a composite created from a uniform and densely compacted epoxy-modified-cementitious layer of design formulated epoxy-modified-mortar combined with 100% solids UME hybrid epoxy – the result is a UME composite lining system. The recommendations available with this system design establishes the minimum standard for material and methods of application for sealed corrosion protection for existing and newly installed structures. The system is designed in two stages: The high performance epoxy-modified-mortar liner is first applied onto the interior substrate prior to coating. The material will create a high bond strength layer of protection to the repairs and substrate, minimize the occurrence of outgassing, minimize as a barrier to moisture vapor transmission (MVT) and hydrostatic pressure, and be a failsafe as a part of the first layer to seal I&I and chemical attack. The UME composite lining system is then completed with the application of a 100% solids UME hybrid epoxy. Because of its holistic attributes, the system provides a performance with economics option for all facets of lift station, pumping and pump station lining.